Dr. Cathy Krop is an Assistant Professor of Clinical Education in the Global Executive EdD Program at the Rossier School of Education. Before coming to USC, she was involved in education policy at multiple levels and diverse contexts at the U.S. Congressional Budget Office, the RAND Corporation, the Evaluation and Training Institute, and as the owner of a women-owned business providing research and support to foundations and public agencies involved in education policy. Dr. Krop received her PhD and MA in Policy Analysis from the RAND Graduate School where she was awarded an education policy fellowship and graduated with highest distinction. She holds a BA in Economics from the University of Michigan. 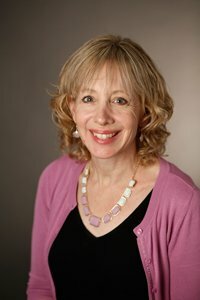 Dr. Krop’s recent research involves issues of charter schools, access to higher education and student financial aid, promoting Math and Science education to typically underrepresented groups, Qatar education reforms, teacher development in Central and Eastern European countries and public-private partnerships. Dr. Krop has led large-scale policy studies and evaluations in a wide variety of educational settings. Her interests include global education policy initiatives, challenges and solutions. She teaches education policy courses on creating policy alternatives, implementing policy change and assessing policy impact in educational settings.